These meaty, cheesy Baked Italian Nachos put a Mediterranean twist on the classic appetizer with herbs, ricotta, peperoncini, and pasta chips! My son was very excited about all the yummy goodies. But he was most interested in checking out the pasta chips. Have I mentioned he is a pasta fiend? Oh, and also a chip lover. The idea of pasta chips kinda blew his mind! I decided to take a classic appetizer—nachos—but put an Italian spin on them. So, instead of Tex-Mex ingredients like salsa, jalapenos, and cilantro...I used Mediterranean ingredients like marinara sauce, peperoncini, and parsley. I also replaced the sour cream with ricotta. And, of course, the pasta chips in place of tortilla chips! Heat a tablespoon or so of oil in a large skillet over medium heat. Cook the ground beef, stirring and breaking it up, until it is fully browned and no longer pink. Add the peppers, onions, garlic, and marinara sauce and simmer until the vegetables are tender, about 10 minutes. Season with salt, pepper, and red pepper flakes. While the meat mixture is simmering, arrange the pasta chips in an oven-safe pan or casserole dish (I used a 12" cast iron skillet). If you want to double the recipe, you can make the nachos on a sheet pan. Arrange the chips in a single layer, with some overlap so there are no bare spots in the pan. Spoon the hot meat mixture over the pasta chips. Sprinkle the mozzarella cheese over the chips and meat and place in the preheated oven. Bake for about 20 minutes, until the cheese is fully melted. Serve immediately, topped with the reserved chopped onions and peppers, slices of olives and peperoncini, chopped parsley, and a generous dollop of ricotta cheese. These Baked Italian Nachos are so good! This is such a great twist on nachos! I love all things Italian, so this is right up my alley! 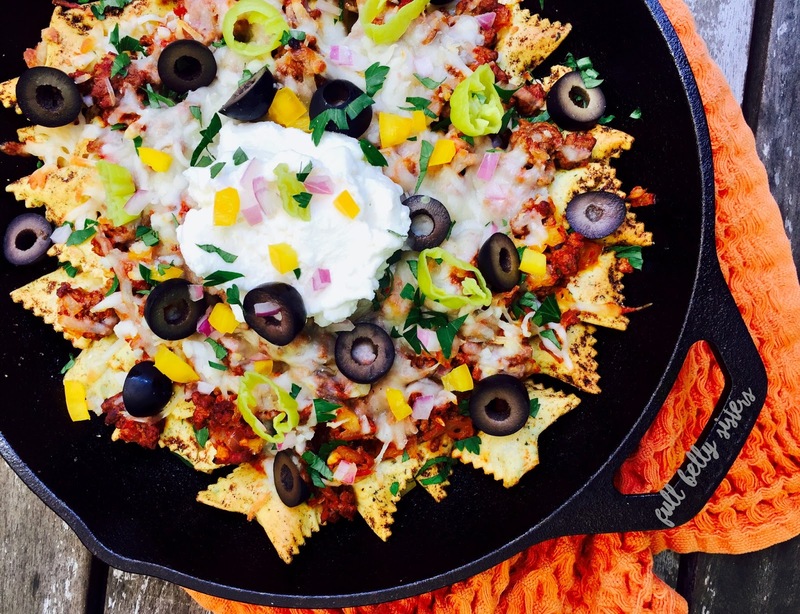 That box is like Christmas for foodies and I just love what a yummy Nacho recipe you've made! I just LOVE these nachos - Nachos are one of my favorite guilty pleasures and now they you've made them with delicious greek flavors! 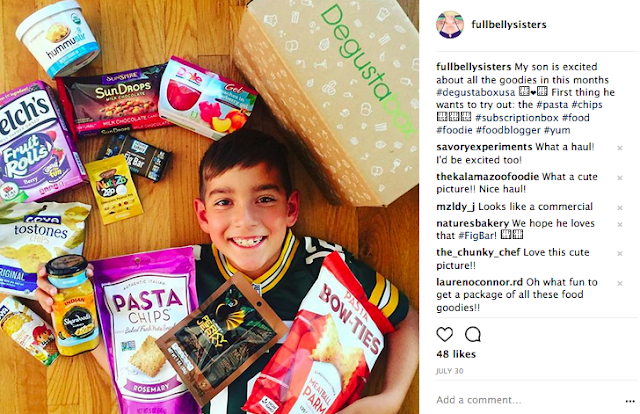 I am not familiar with Degustabox so I'm heading over to check them out! 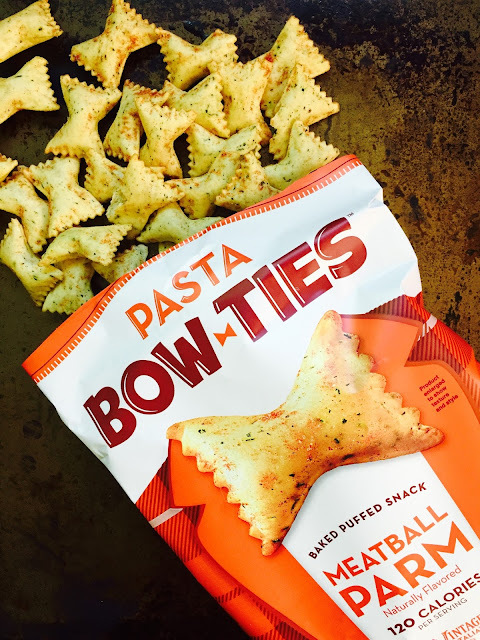 Okay, now I have to find those pasta chips. They sound delicious and perfect with this nachos. Pasta chips!? BRILLIANT!! These nachos look AMAZING! This is so creative and so colorful; I just love everything about it! 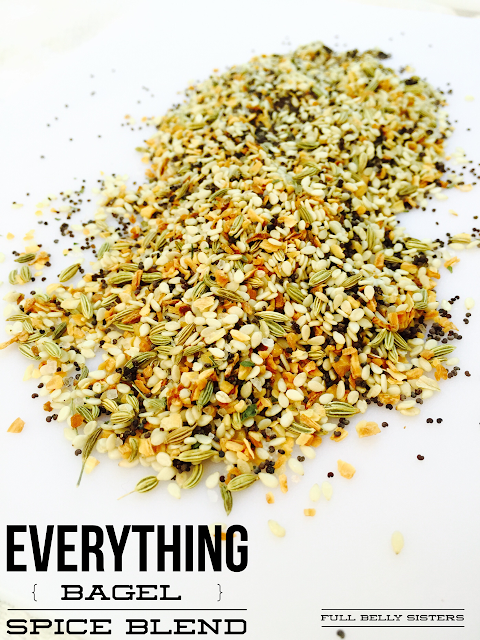 Great job on this recipe! I've never tried pasta chips before but they sound so up my alley! I need to get some ASAP to make these nachos with! This looks absolutely delicious! Awesome! I do love nachos but somehow I don't have them that often - this reminds me I should more!